At the heart of the work undertaken by the ‘Degenerate Art’ research centre is the study of Nazi art policies and their impact on national and international developments in the arts. A particular area of focus is researching the fate of artists that were defamed by the Nazis, determining what has happened to their works, and exploring the specific role of the art trade. Other areas of interest include the seizure of ‘degenerate’ artworks from German museums and their subsequent ‘disposal’. The repercussions of Nazi art policies post 1945 also play an important role in the centre’s research. 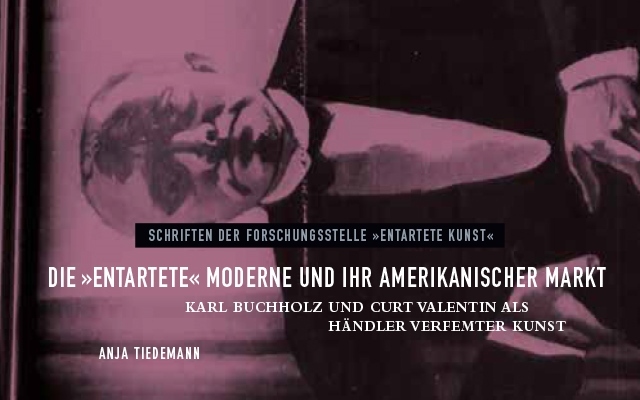 In the summer semester of 2008, a series of lectures on the art trade during the Nazi era was held in conjunction with the Ernst Barlach Haus, Hamburg, and the Hamburg Kunsthalle. 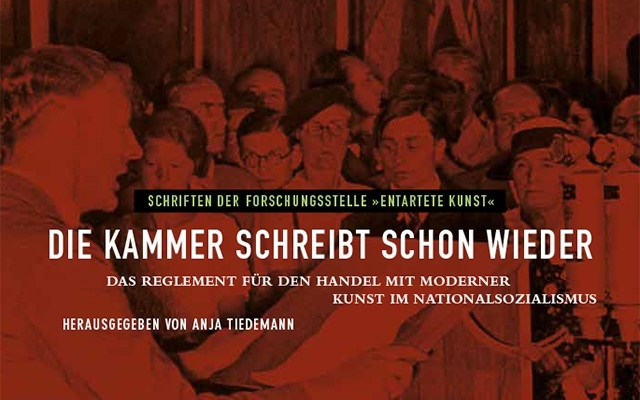 The lectures and accompanying essays on this topic were published in the collected edition Werke und Werte: Kunsthandel, Sammlungen und Museen im Nationalsozialismus, edited by Ute Haug and Maike Steinkamp. The lectures and the publication were generously funded by the Ernst Barlach Haus, Hamburg, and Stiftung Hermann Reemtsma, Hamburg. From February 2013 to April 2016, Dr. Gesa Jeuthe and Dr. Anja Tiedemann worked on the project ‘The Art Trade under National Socialism: Galerie Alex Vömel, Düsseldorf, and Galerie Buchholz, Berlin’, which was supported by the Stiftung Deutsches Zentrum Kulturgutverluste (German Lost Art Foundation). Alex Vömel was employed by the Galerie Alfred Flechtheim in Düsseldorf from 1922 and appointed director of Galerie Alfred Flechtheim in 1927. In March 1933, he founded the Galerie Alex Vömel in Düsseldorf, which is still in business today. Karl Buchholz, a trained bookseller, founded his gallery in 1934. Until the end of 1936, it was managed by Curt Valentin, who had worked for Alfred Flechtheim in Berlin until 1933. Galerie Buchholz closed in 1955. The inventories and contacts of both art dealers between 1933 and 1945 were examined and evaluated within the context of the conditions of the art trade under the Nazis. Seminars and lectures on provenance research were held throughout the project. During the Nazi period, the property of millions of people was lost due to racial or political persecution, including countless artworks and cultural assets. Provenance research focuses on establishing the chain of ownership of these objects and creates a basis for ‘fair and just solutions’ in accordance with the Washington Principles of 1998. 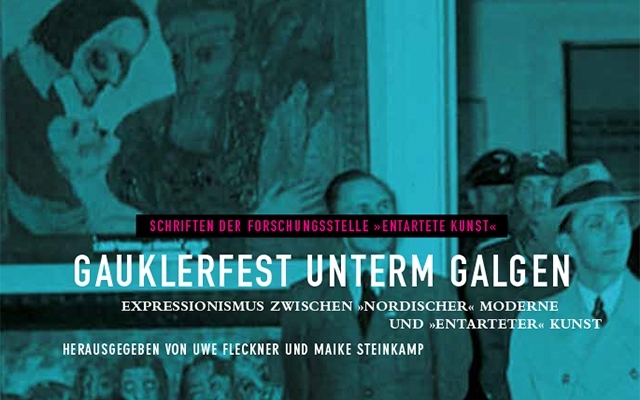 The work of the ‘Degenerate Art’ research centre is accompanied by a series of publications, which has been largely funded by the International Music and Art Foundation (IMAF), Vaduz, Liechtenstein. The publications document a selection of completed theses, and research planned by the centre and its members, partly in cooperation with external specialists.